Lori Ashmore Peters Presents at Ameriprise Financial | The Ashmore Law Firm, P.C. 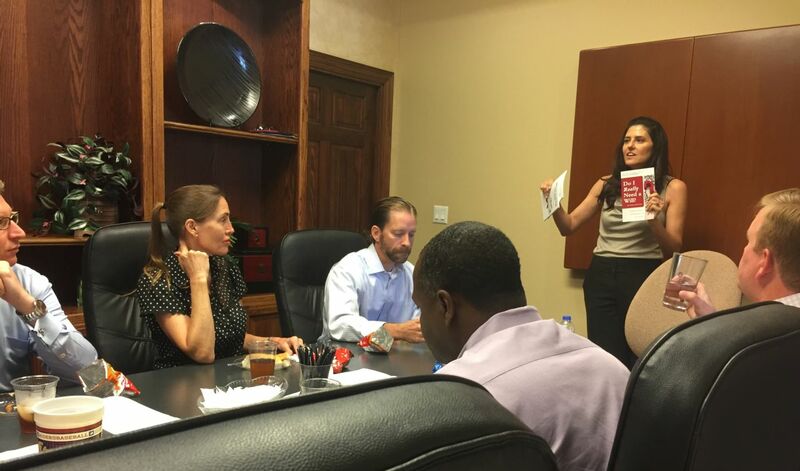 June 21, 2016 – Attorney Lori Ashmore Peters presents to Ameriprise Financial Advisors at Village Creek in Plano, Texas for a Lunch and Learn. Mrs. Peter's presentation focused on what financial planners need to know about estate planning, business succession planning, family law, property agreements, and guardianships. The presentation finished with a FAQ portion where the financial planners were able to get answers to their most frequently asked questions. Learn more about Lori Ashmore Peters.